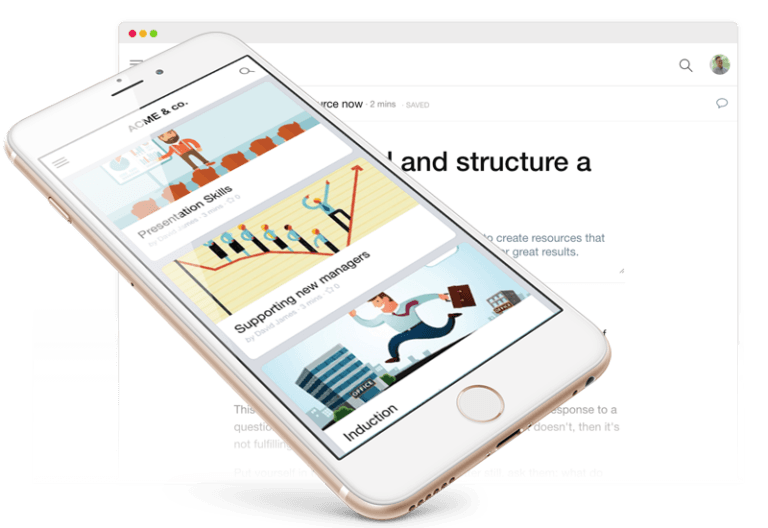 Looop is a cloud-based and on-premise learning management HR software that enables peer-to-peer instruction through a user-generated platform. With Looop, users identify a specific need to address with their team, and collaborate with effective, knowledgeable team members. They then publish useful learning resources and share with other team members. Managers can monitor built-in analytics to determine what works and what doesn’t. Features include customized, brand-matching layout, large number team access, individualized training modules, multi-media communication options, performance reports, push notifications, detailed user assignment options, and secure SSL-certified cloud infrastructure. Mangers can find influencers within the team and collaborate to create learning resources that can be shared with key people or the whole team. Looop formats everything automatically, customizing to brands and removing need for an on-site, skilled designer. Managers can send push notifications, emails or updates straight to team members. Users can enroll hundreds of learners in flexible groups by job function or level, and assign “knowledge champions” authorship permission. Assign one-click quizzes to employees to test information, and use built-in feedback forms to see what’s working, what’s missing, and what to improve. Looop integrates with Microsoft, Google, and Salesforce accounts, and users can export all data to CSV for reference or API sharing. Not sure if Looop is right for you? Use our Product Selection Tool to compare other Learning Management HR Software solutions. Have questions? Call one of our unbiased Technology Advisors for a free consultation. Learn everything you need to know about Looop. Our experts will reach out to you shortly.